We had fun at McGregor’s annual Founder’s Day celebration. 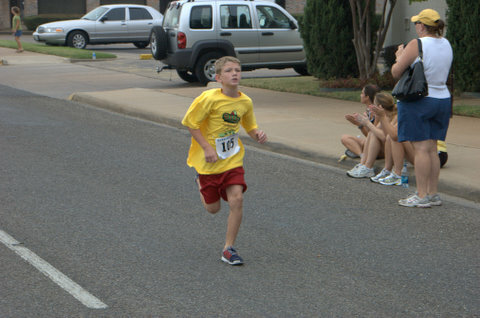 Andrew won the kid’s 1K race. I judged some eating contests. I’ve got to decline judging the bean competition next year. The after effects were truly horrendous. This entry was posted on Wednesday, September 26th, 2007 at 6:37 am and is filed under Kids/Family. You can follow any responses to this entry through the RSS 2.0 feed. You can leave a response, or trackback from your own site.